RICKY Gervais claimed he was just doing the job he was hired for at the Golden Globes. 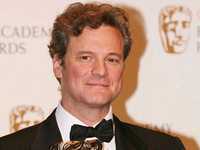 The 49-year-old comedian caused controversy when he hosted the awards ceremony on Sunday night (16.01.11) by ridiculing several top Hollywood stars, but the British star insists the Hollywood Foreign Press Association (HFPA) - which branded his remarks "unacceptable"- should not have been surprised by his behaviour. He said: "They hired me for a job and if they didn't want me they shouldn't have hired me. "I don't think I did anything wrong, those were jibes at these people and I'm sure they have a sense of humour. I don't know if someone has an addiction. I'm not judging them for what they did, I'm confronting the elephant in the room." Ricky's jokes included introducing Robert Downey Jr. as an actor "many probably know best from such facilities as the Betty Ford Clinic and Los Angeles County Jail" and mocking Charlie Sheen's love of partying but the 'Invention of Lying' star said he had to "roast" the celebrities to do his job properly. He explained: "They hired me, like I'm going to go out there and not talk about the issues in their industry. Don't forget I've got be an outsider there, I mustn't come out there as everyone's mate that would be nauseating. I've got to come out there and I've got to roast them." Despite his bravado Ricky did reveal his partner Jane Fallon was worried about the response after the show. Speaking to talk show host Piers Morgan in an episode of his show scheduled to air on CNN international tomorrow (21.01.11) at 8pm, he said: "After the Globes finished my girlfriend said, I've got the fast car, here's the disguise and I have two tickets to Cuba."